West Village Port Credit Condos is a new condo development at 70 Mississauga Road South, Mississauga, ON. This development will have condos, townhouses and offices in this west village. Featuring new waterfront park, a beach and ecological gardens, while a series of green corridors will create pedestrian and cycling links through the site, leading to Lakeshore Road. The architect of this project is Bernard Watt Architects. Based in the Port Credit neighborhood in Mississauga, this condominium has 2500 condo suites in a 26 storey building. 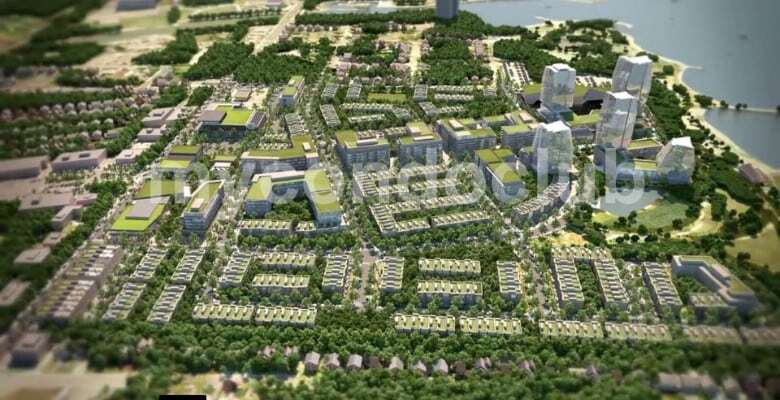 2,500 residential units i.e housing for 5,000 new residents. 200,00 square feet of commercial, retail, and community uses which will create 1,000 new jobs. Former Imperial Oil Refinery will be transformed into a new community called The West Village in Port Credit. 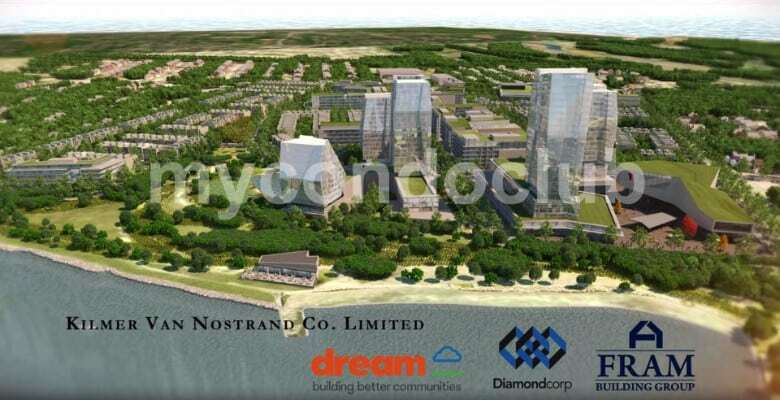 The Port Credit West Village Partnership (WVP) consists of Diamondcorp, Dream, Dundee Kilmer Developments Limited, FRAM Building Group & Slokker Real Estate Group. Additional features include a party roomwith kitchen, dining room, terrace, yoga studio, bike room, billiards room, fitness centre and WiFi Lounge. 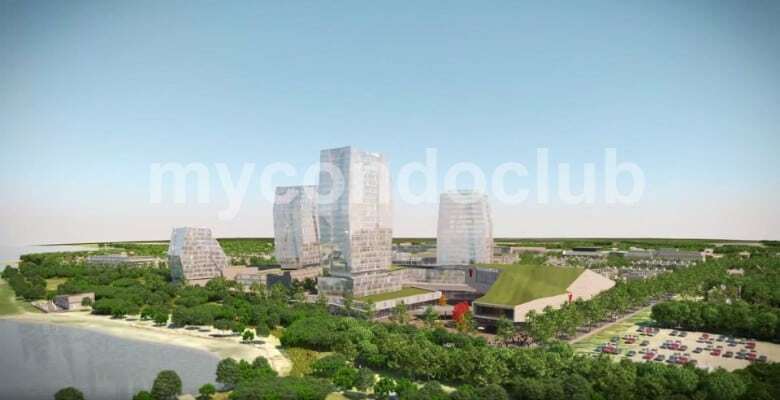 It envisages a vibrant, mixed-use community that emphasizes architectural excellence, connectivity, a high quality public realm, community gathering spaces, and a series of green parks and open spaces that collectively enhance the Mississauga Waterfront experience.This will also include two separate party rooms where residents can entertain their guests. The party room will have a kitchen, multiple seating areas and a central fireplace feature. The dining area in the party room will have bbq barbecue, dining, lounging terrace with spectacular city view. The West Village Port Credit Condominium is in Mississauga, surrounded by large businesses, numerous offices and neighbourhoods like Art Gallery of Mississauga, the Mississauga Central Library, Jack Darling Memorial Park, Square One Shopping Centre, Erindale Park, Lakefront Promenade Park, The Riverwood Conservancy, Dixie Outlet Mall, the historic Bradley Museum, the Adamson Estate, Benares Historic House, Erin Mills Town Centre, Lakeside Park, Meadowvale Theatre, Lakeview Golf Course, the Mississauga Golf & Country Club, BraeBen Golf Course, the historic Leslie Log House, the Mississauga Heritage Foundation, The Egyptian Museum, Westwood Square Mall, Mississauga Flea Market, Yuk Yuk’s Comedy Club, Mississauga Celebration Square, Dixie Outlet Mall, Mississauga’s Hershey Centre, Kids Time Family Fun Centre, and KidSports Indoor Playground. Few minutes walk to the Lakeshore West Train at the Port Credit GO Station from West Village Port Credit Condominiums. Also, minutes away are the Kingsbury Centre Shopping Plaza and Square One Shopping Mall, Pearson International Airport, three major railway lines via the Canadian Pacific Railway, Canadian National Railway, and Metrolinx, commuter rail lines via GO Transit, bus service by MiWay, and several major highways such as Highway 401, the Queen Elizabeth Way, and Highway 407, TTC, movie theatres and restaurants, supermarkets, shops in the area so close to the West Village Port Credit Condos. Brueckner Rhododendron Gardens, Ben Machree Park and J.C. Saddington Park are some of the parks close to the West Village Port Credit Condos in Mississauga.